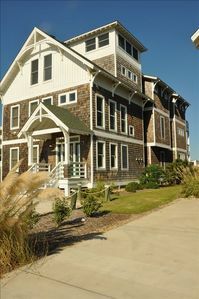 Our Ocean Front home we call 'Absolut Pleasure' is a newer home built in the 'Old Nags Head Style'. It was designed with first class accommodations in mind. A smoke-free and pet friendly home, it is situated at a slightly higher elevation and closer to the beach than neighboring homes providing exceptional views and privacy. We keep our calendar updated regularly. All four bedrooms are large and two of them have private baths. The other two bedrooms and the den / Media Room (which has french doors for privacy and can be used more like a bedroom) share a hall bath. Every room at Absolut Pleasure has a view of the ocean! 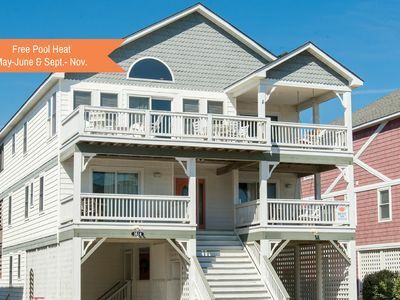 When you first arrive at Absolut Pleasure you will be impressed with its stylistic architecture (A classic beach cottage look, updated and expanded to today's needs) and spacious front porch from which you can enjoy the sunsets over the Pamlico Sound in the evenings. A covered car port, outside shower, large storage closet and underhouse entry are on the ground level. Step up to the entry level and you will notice right away the nine foot ceilings, crystal door knobs, and hardwood entry foyer. There are three bedrooms, a den, and two baths on this level, plus a laundry area. 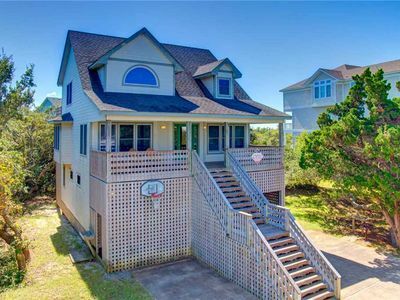 Two of the bedrooms (one master with King, and the other shared bath with King) and the Den / Media Room (which has french doors for privacy and has a flat screen TV and surround sound) on this level are ocean front and open to a wide shaded deck with six person hot tub. 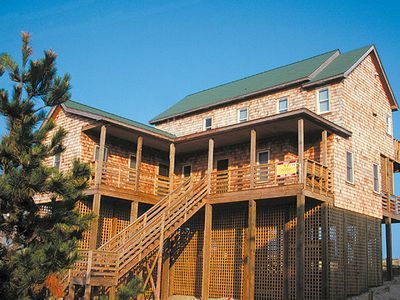 From this level you will have a lovely view of the rolling sand dunes and the Atlantic Ocean. The comfortable third bedroom on this level has two twin beds (shared bath) and has a view of the ocean as well. 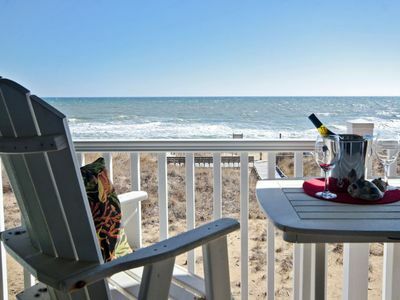 On the top level you can enjoy even better views with the dunes, wide beach, and the surf right in front of you. Here there is an open great room with leather seating and kitchen, and a separate half bath. The gas fireplace on this level comes in handy for chilly (or romantic) evenings. 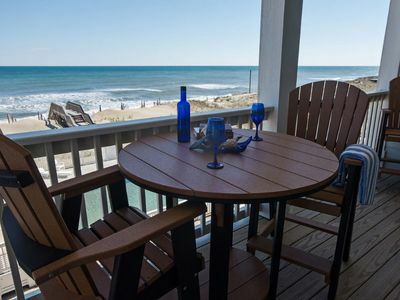 Step out from the great room to the ocean front deck and enjoy yourself basking in the sun and listening to the rolling surf. 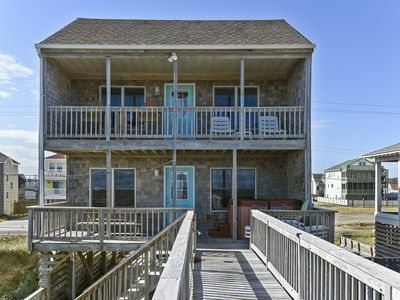 Also on this level is a private Ocean Front master bedroom suite (King) with a jetted jacuzzi tub in the bathroom, and an ocean front screened porch accessible from both the bedroom and the sun deck. 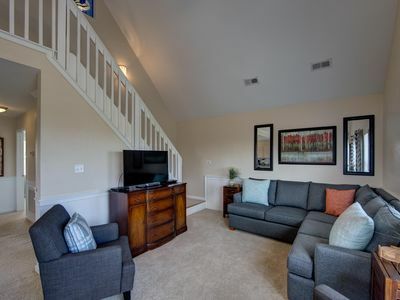 Over the past few years we have made significant updates including new paint in warm colors, new hardwood flooring, Pottery Barn and Nautica bedding, new living room furniture and nice artwork throughout. Hatteras Island is a special place. 70% of the 60 mile long Island is undeveloped United States parkland. 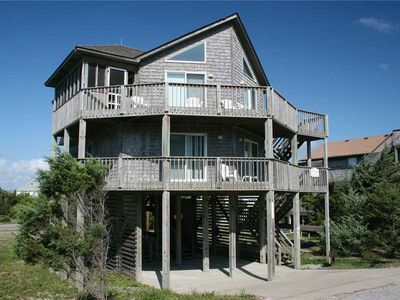 As such Hatteras' character is unique, and unlike the rest of the Outer Banks. It's less developed and retains more of its natural charm and beauty than the northern beaches. 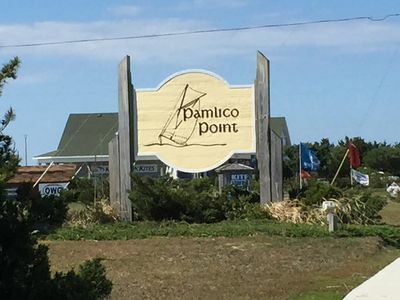 Our vacation home is located in Avon, a small community situated at the mid-point on the island just five miles north of the Cape Hatteras light house. It's a good location to be as all the services you might need on your vacation are available in the community Banking, Large Grocery, Restaurants, etc. 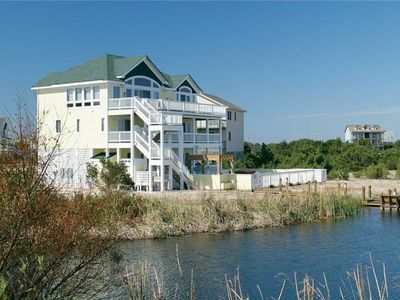 Recreation available nearby includes: Windsurfing at Canadian Hole (best on the east coast), Surf, Pier, and Deep Sea fishing (we are near the gulf stream), and of course miles and miles of beautiful beaches. Absolut Pleasure is our second home and we try to make it as nice for ourselves and our guests as possible. We think you will like it too! Our property is professionally managed, and when you are ready to book a lease will be sent outlining all the terms of your vacation rental. For 2018 and on linens and towels are included in the rental price for weeks marked "mid", "in", or "prime" seasons, during other times they are available for rental. 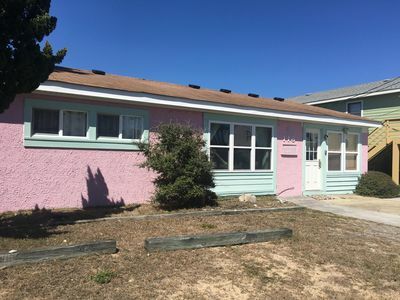 Bungalow-100 Yards to Ocean---Book now for 2019!! 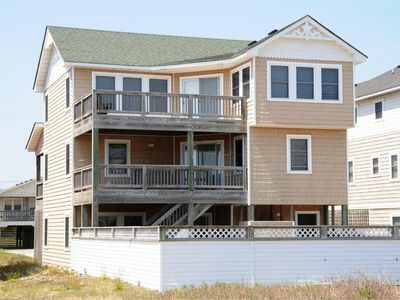 Magnificent Sound and Ocean View/Sound Access and POOL! 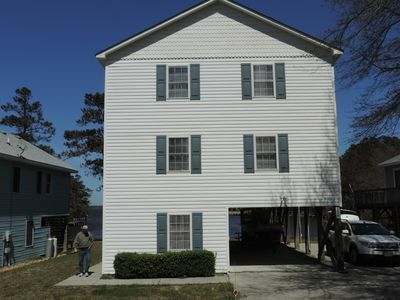 Waterfront Getaway on the Sound! Fabulous Views! Enjoy kayaking from our pier! 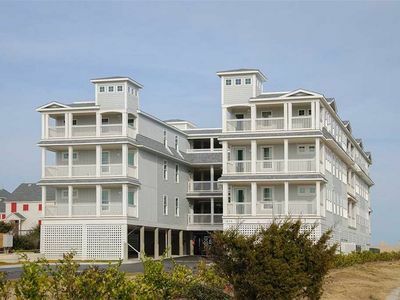 Seven Cs 402: Top level condo, oceanfront, community pool, private community walkway to the beach.